At the end of the day, these met all my needs and were not even the most expensive on the shelf ($80). Most durable by far. Many great memories. I was giddy like a school girl from the time I ordered them to when these arrived at the running store I worked at. I simply loved these shoes because Tim Broe wore them and they fit like a glove. However, the spike plates bent after the first race. Disappointed but I still wore them the rest of the season. Had several pairs of these in college. To be honest, I hated them. But they looked cool and were free. Foot was too wide and eventually ripped through the sides of most but ran my PRs so I can’t hate them too much. Nice thread! and those Adistar Steeple’s look sweet! I’m of the new block compared to what you have memories of, so I have no idea about these older spikes so much or how they were and what were my favourites but I do like to hear experiences and opinions and also to see how you guys compare them to the spikes we buy these days. 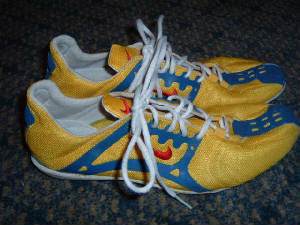 I yearn for a pair of the black/gold Milers (I believe Bekele wore them at some point? But they were publicly available) which I stand that, along with the black and gold Streak XC (OG), is the most beautiful shoe Nike has ever made. I have some white/gold eldo IIs in my size that I got this season and they are probably my 2nd favorite spikes, over my white/gold milers. i had those back in college as well (same colorway, in fact!). didnt get to race a ton in them though due to injury. i ran the 4x100, mile, and 2 mile in them. couldnt get 2 pairs so i had to settle for the MD to suit the range of events i was asked to run. bought them in SF at Hoy’s Sports which is sadly no more. 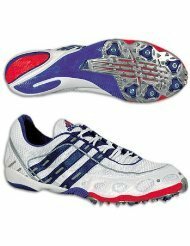 after the adidas steeple’s in college, i had the jasari+ for the track and the kennedy xc/ghac for cross country. since then, i’ve acquired and run in kennedys (3 pairs), jasaris, victories, and matumbos (1 and 2). still have the jasari+, although i dont run in them. i like the kennedys a lot but they are pretty narrow and you have to like that spike plate. OG vics are sweet too. want to run more in them, but i think the kennedys are my favorite distance spike. The first pair of spikes I ever got were black ASICS Outback XCs. They are quite heavy, and have a weird arch support built into the insole. I used them for cross, indoor and outdoor of my sophomore year of high school. The next year, one of the captains sold me his extra pair of zoom milers (blue with red swoosh) for $35. Later, that outdoor season, I got myself a pair of white and black Eldoret IIs for the two mile. However, I ended up only wearing them once, because my senior year, I got into the steeple chase, so I got a pair of white Lanangs. Once I got to college, I got myself a pair of Victory XCs (Bright purple), which I used for cross, and a pair of sky blue matumbos, which was the only spike I wore for track, because I only did the 5 and 10k. I started my career in the prime of the Miler-Miler XC-Eldoret II era. I think I have owned every Nike distance/Mid-distance spike from the Zoom-Distance through the Victory Elite. I agree with the previous sentiments towards the original Nike Streak XC. I had all 3 colorways- white, navy and black. I’ve had: Eldoret, Jasari, Kennedy, Ventulus, Ventulus Plus, Eldoret II, Miler, Lanang, Victory, Matumbo, Mamba, and Puma Harambee. My top three are Harambee, Jasari, Victory in that order. I liked the Streak XC (got it for free a few times in college) but the upper was nowhere near durable enough for me. It would blow out around 250 miles. My favorite flat ever is the Nike Niobe. A close second is the Zoom Mariah. Nothing special about either one of these. Light and minimal. And associated with happy points in my running career. Bekele actually wore an eldo 2 upper with a cut miler plate, a spike for which i yearn. My first pair of spikes (after running a full xc season and a few 800s in Nike Shox) was a pair of Saucony Endorphin LDs. Loved them. At this point I’ve amassed 41 pairs of spikes and 15 pairs of flat because I’m an addict. Looking at them as a bit of a history, I just got the original blue-swoosh Zoom D’s, and you can really see how the current generation of Nike spikes developed - they’ve got virtually the same midsole as the matumbo, and the full plastic plate was a revolutionary thing which you can see across time from the eldoret whose plate was used in the ever-loved harambee, whose upper came from the also-loved and ever elusive jasari (on and on… it’s all connected). Still my favorite of everything I have is the lanang, mostly on the basis of my love for the miler plate, plus I’m a steepler. I’d give anything for the Bekele spike though, that’s perfection for me. As the flats go, if I could get a reinforced upper on the OG streak sole, I’d never run in anything else. 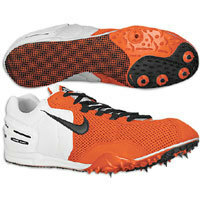 First real pair of spikes for me was also Endorphin LDs (as you know) I still wear them from time to time. They are a great spike! 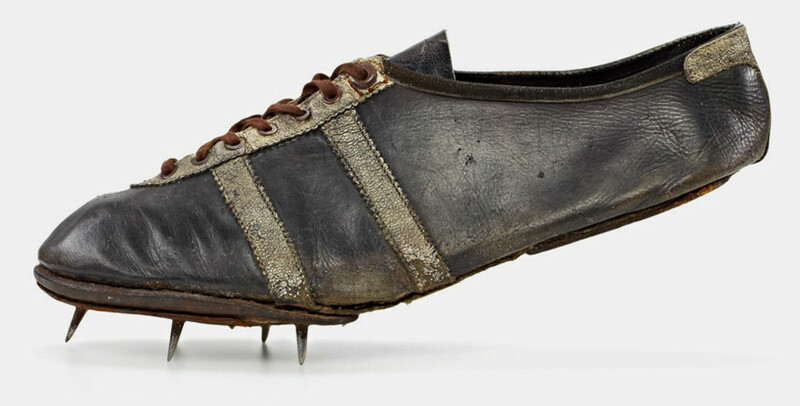 the collection shows adi dassler's shoes from his first company, gebruder dassler schuhfabrik (now known as adidas).